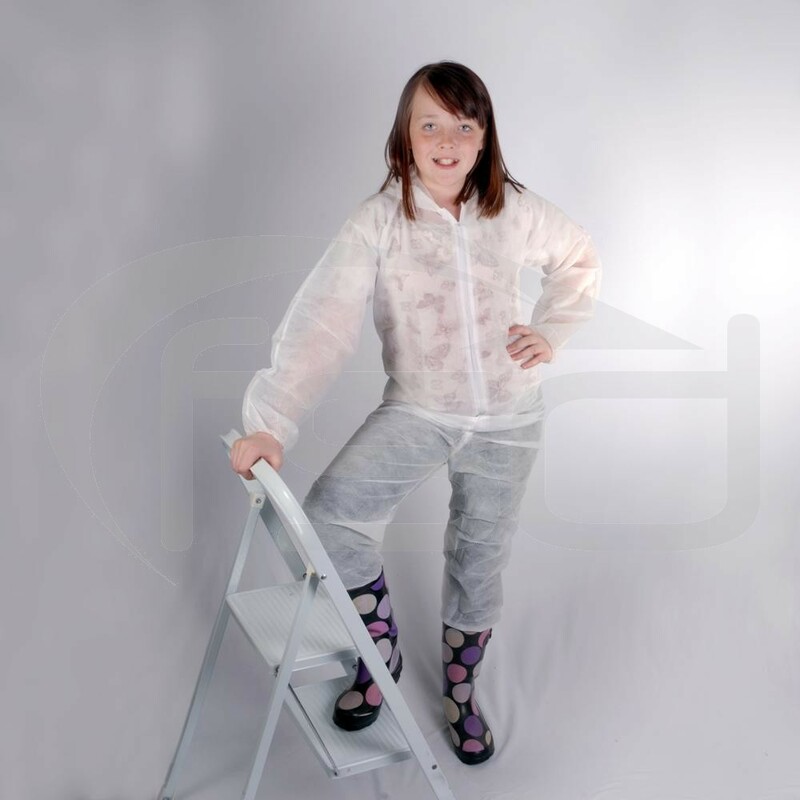 White coverall in 40 GSM spunbond polypropylene, with hood, straight arm with elastic at wrist, ankle and waist. No 3 zipper with double zipper flap. V shaped crotch with 2 pieces extra at crotch, no pocket with 1.5 cm reinforcing strip at arm and crotch. Orders size 9-11 years for my 8 year old son and it was far too small, sizing comes up a lot smaller than the label size. Tried to email regarding this several times but enai kept bouncing back. Not happy with the product at all. Ended up cutting it up to use for another purpose.